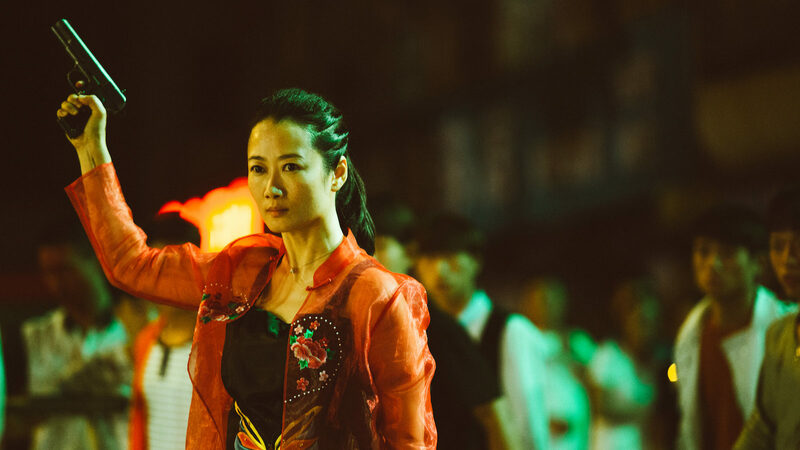 As the foremost cinematic chronicler of China's pained transformation into global economic superpower, each new film by director Jia Zhangke labors under the weight of certain critical expectations. It's not enough for his films to be good--which they almost always are--they must be good STATEMENTS on the state, both literally and figuratively, of modern China. What is to be done, then, when Zhangke comes forward with a film that deliberately subtextualizes metaphor and allegory in favor of traditional genre tropes? Not that his new film ASH IS PUREST WHITE is apolitical: the doomed romance of a small-time gangster and his girlfriend set against the backdrop of the construction of the Three Gorges Dam, the film eulogizes the loss of traditional Chinese society in the face of rapid industrialization. Like many of the best American and Japanese gangster movies, the film opens by examining a principled criminal underclass quickly being supplanted by a new generation of violent, amoral upstarts. When we first meet gangster Bin (Liao Fan), he's content to be the big fish in the little pond of Datong, a tiny coal mining village in north Shanxi. Like a dime-store Vito Corleone, he holds court in his mahjong parlor, all the while doting on his lovely girlfriend Qiao (Tao Zhao). But after the death of one of his associates, the ensuing power vacuum leads to his assault by a gang of wannabe street punks. Only the quick intervention of Qiao wielding his illegal handgun frightens them off--but at the cost of five years in prison. When the five years are up, she finds that Bin not only hasn't waited for her, but has moved to the neighboring province of Hubei at the foot of the Three Gorges Dam with a new girlfriend. Determined to confront the man who abandoned her, she embarks on a journey stretching across both time and the 600 miles between provinces. Here ASH IS PUREST WHITE shifts into romantic melodrama, one perhaps featuring gangsters, but a romantic melodrama nonetheless, at times aping the emotional interiors and pregnant silences of Wong Kar-wai. This remoteness counter-intuitively foregrounds Qiao's emotional journey, shuffling Zhangke's statements on community displacement, the evolution of communication technology, and the collapse of classic Communist society behind it. It's an excellent, if languid, genre exercise. But this specificity dooms it to a reputation as a minor work. The almost non-existent festival buzz at NYFF apparently agrees.